When I was a teenager, I drove cross-country with my brother and uncle. One feature of such a trip is that once you get past major population centers, you tend to see the same people over and over again. There are only so many major highways and if you're both traveling in the same general direction, you'll find yourself stopping at the same gas stations, eating at the same roadside stops, and even camping at the same campgrounds. There's a (admittedly trashy) movie called Road Games that relies on this dynamic, making it a sorta moving version of Hitchcock's Rear Window. 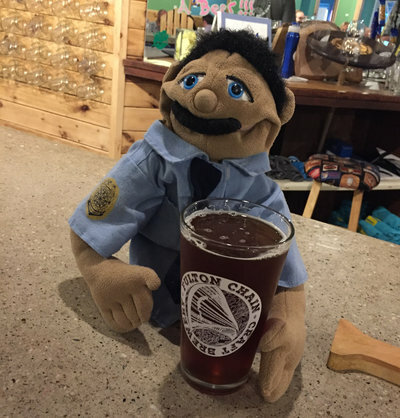 I noticed something similar going on during Operation Cheddar V: Bride of Cheddar, only instead of gas stations and campsites, I kept seeing the same people at breweries. Go figure. This is my fifth such trek through the wilds of Vermont in search of beer, and as per usual, it was a lot of fun. 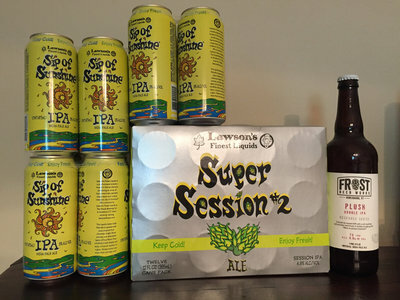 That's Sip of Sunshine and Super Session #2, for those keeping count. I also snagged a freshish bottle of Frost's Plush, as I'd heard good things about them. From there, I headed up to The Alchemist's new digs in Stowe, VT. For the uninitiated, during the first Operation Cheddar I was able to go to The Alchemist's cannery in Waterbury, VT. 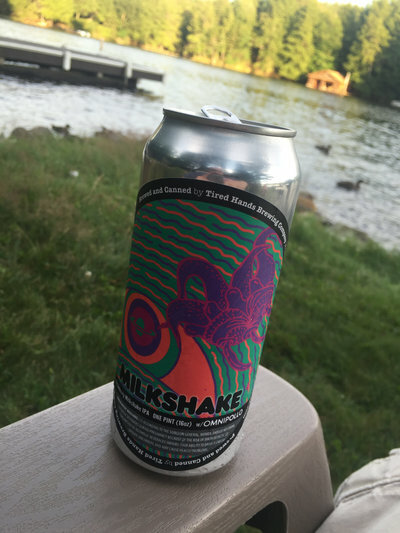 However, due to the high level of traffic and with consideration for their town and neighbors, they closed that location to the public and started distributing their beer throughout the state. 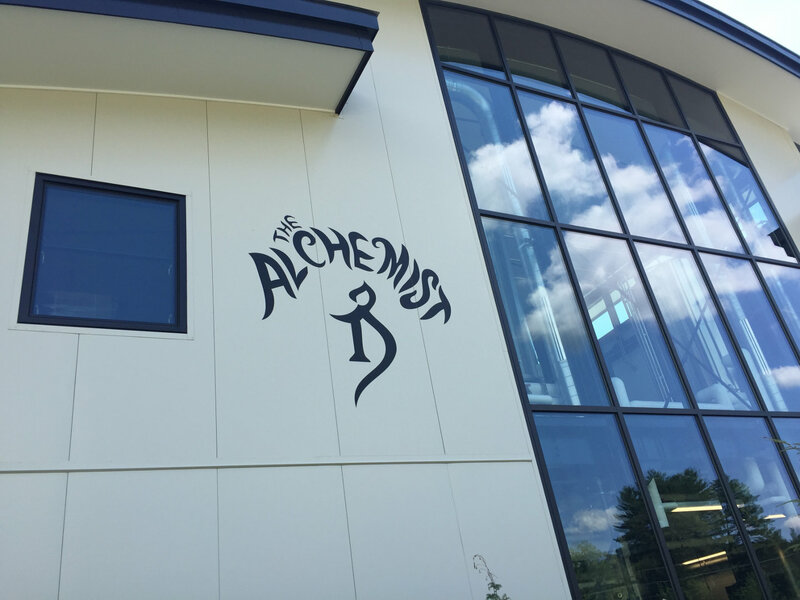 This made their beer more difficult to snag (at least, for passers-through like myself), but due to intense demand, they were able to open a new brewery facility in Stowe. 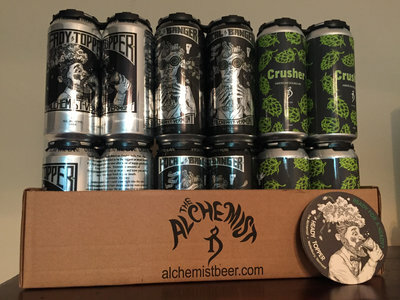 While the cannery still puts out as much Heady Topper as possible, the new brewery focuses on their other brews, notably Focal Banger and Crusher. 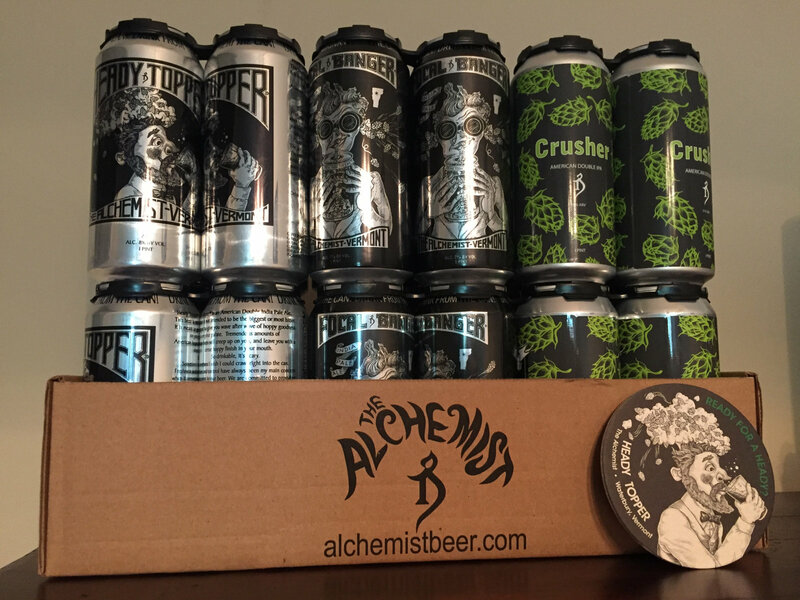 Limit of one case, but you could get a variety, so I got a mix of Heady Topper, Focal Banger, and The Crusher. That last one is something I've never had before, so you will most certainly be seeing more about that in the near future. 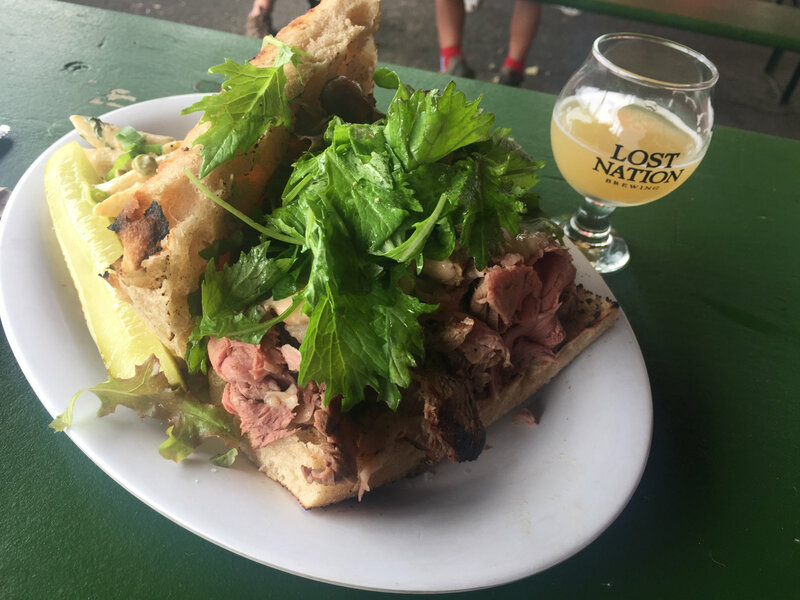 Just a hop and a skip away from there is Lost Nation, which has become a mandatory stop, if for no other reason than their food is just astonshingly good. I had some sort of smoked beef sandwhich, which was great, of course. And I snagged some Gose and The Wind while I was at it. 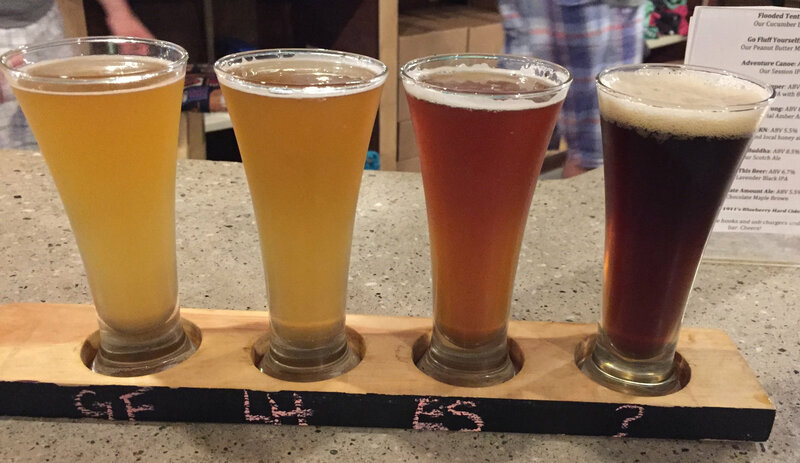 Beer Nerd Details: 5.4% ABV from a growler (750 ml swing top). Drank out of a charente glass on 8/5/16. Growler filled 8/4/16. 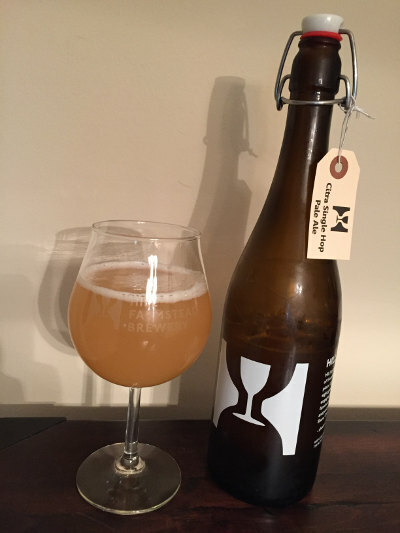 Hill Farmstead Sumner American Pale Ale - Brewed with Simcoe, Citra, and Mosaic hops? Well, ok, if you're going to twist my arm. Pours a little less cloudy, paler yellow color with a finger of white head. 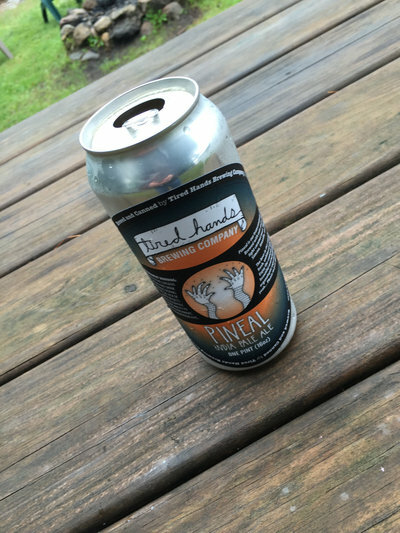 Smells similar, but with less floral character and more dank, resinous pine - still plenty of citrus though! Taste is again more on the dank side, plenty of citrus, a little less bright, but juicy enough, with a little less bitterness in the finish. 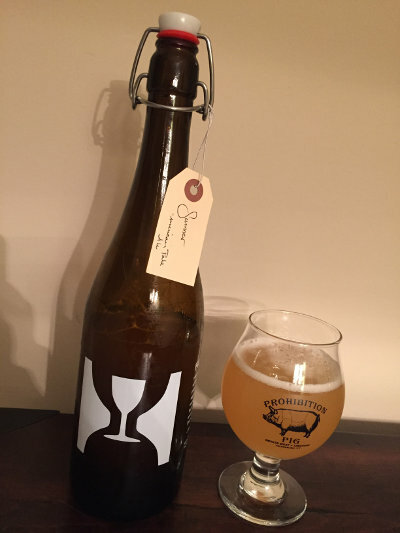 Mouthfeel is medium bodied, finely carbonated, less dry, very crushable stuff. Overall, less intense, but still quite good. Again grading on a curve, maybe B+ or A-? This is getting impossible you guys. Beer Nerd Details: 5.2% ABV from a growler (750 ml swing top). Drank out of a tulip glass on 8/6/16. Growler filled 8/4/16. 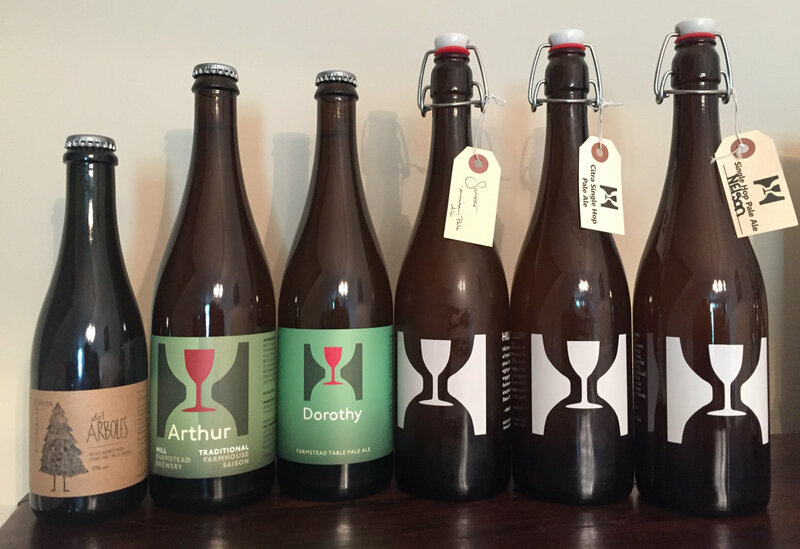 That's It's Complicated Being a Wizard, Peasant King, Peach of Mind, Brettanomyces Incident, and Chunky. Check out that artwork, so nice. Looking forward to these! 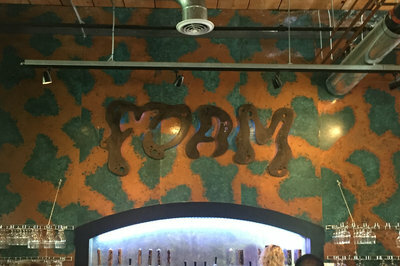 Finally, I stopped in at Foam brewery to visit with Lipstick n Lager and try some of their wares. 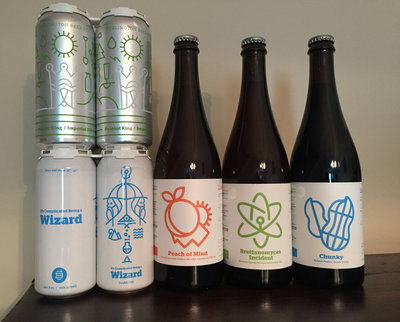 They've only been open for about 4 months, but they're really nailing their IPAs, which in Vermont is really saying something. 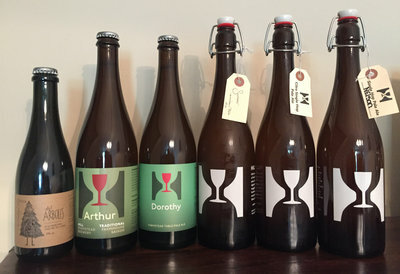 I only snagged a single growler from them, but you will most definitely be hearing more about it in the near future. And I will almost certainly stop here again next year. From there, it was a simple jaunt back to the Adirondacks (where I was staying last week) to enjoy my spoils. I should also mention that I went back to Fulton Chain brewing, which was within walking distance of where I was staying. If you recall, during Operation Cheddar IV: Smoked Cheddar, I stopped in to this place mere weeks after they had opened. I was glad to see that they seem to be well established at this point, with a healthy crowd and many more taplines open. It was a fun vacation, is what I'm saying. 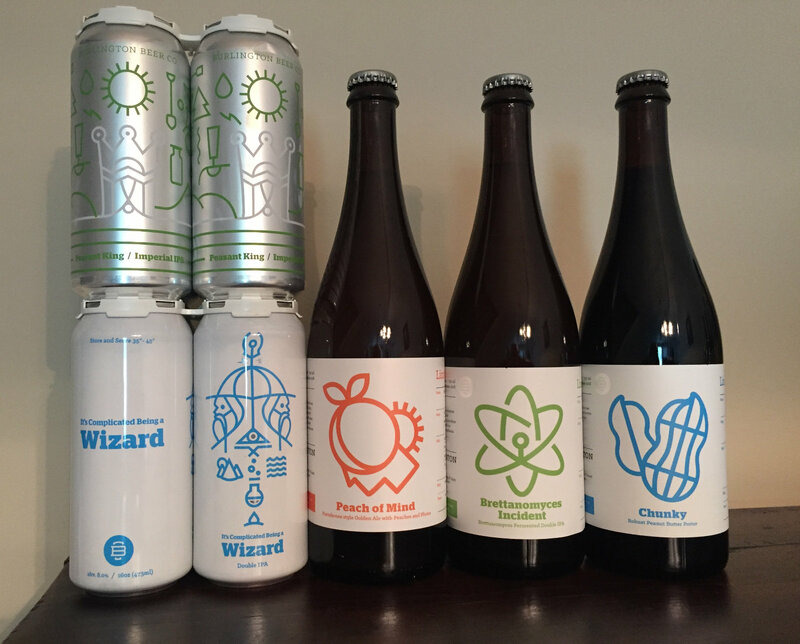 Already looking forward to my next VT odyssey. This page contains a single entry by Mark published on August 10, 2016 11:01 PM. Other Half Double Feature was the previous entry in this blog. Foam Built To Spill is the next entry in this blog.